I would like to start killje's touring agency. 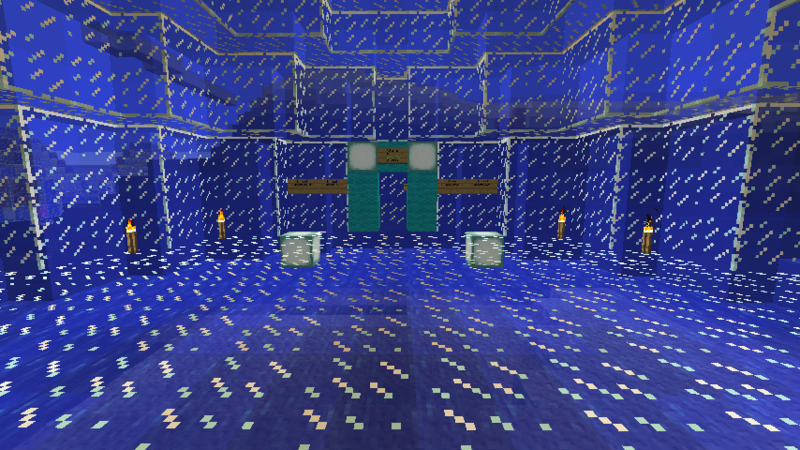 The idea is that there will be a show with portals to different locations with player created buildings. With this the player gets a book with information about the buildings, style, person who build it etc. This so that people who have build something can show their works to other people around the server. This post is this way two fold. I would like to hear if people are interested in seeing what other people build and if people have interesting buildings to show. If you have something interesting let me know in this post. examples of things you can/have to include in the post for adding your build to the tour. Who: Did you make it with more people? What: What kind of build is it? eg. a village, a single building or a compilation of builds. Description/story: A story is very nice. A building can be nice to look at but with a story it can add a lot of value. This can be how did you get the idea? where did you get the materials? how long did it take to complete? is there a back story like is it for a dwarven village? Be creative! Coordinates: Coordinates of the main place. i need to be able to get to it. Vistas: Coordinates to vistas if you have multiple spots you want to show in your build. Also think if you can add a small description with every vista. Images: Images are also appreciated! Other: Anything else you can think of that would be good to know! If you have multiple build/vistas in one build think about the walk between them. they should not be to long or should themselves be something good to look at/experience. If you want information or help with setting up your build as a destination. Just ask for me. I am specialized in making roads and interesting ways to travel between points. And i am often willing to do it for free. I am also good at small buildings/decoration to touch things up if need be. I hope this will become a nice way to show build around the server and let me know if you have any suggestions. If you have a build you want to add but do not have the coordinates ready still post here to show your interest! Welcome traveler to this server. This server lets you build amazing things and a lot of people already have done this. This tour is made to inspire and amaze you to build your own buildings. This is a currated tour made by me, Killje. I hope you enjoy the tour. If you have any suggestions or have seen mistakes please contact me here, on discord or on the forums. We start in a village. This was not the first structure to be here, but the first one on the surface. We start walking to the brick house North. This brick house is a extended version of the normal village smeltery and servers as the house for Beth (Betheaeroplane) when in town. From here we travel further east. The path we are walking was to link the village up to the base. On our way we see buildings that have been added after the path has been created. This was to add scenery on the way to the base. The first one would be the creeper castle to the North. Followed up by the Wither to the South. After these the extra buildings at the village would be created. Once we come at the intersection we can see a orange barn further to the East. This building was created after Beth saw it on her way to her girlfreinds house. To the North we can see a building with half a heart on top. This building is the most recent and was imported from a schematic from 2011. As this was a building from an old server Beth used to play on. Feel free to look around on the surface. Its more showing individual builds but if a VTC got one or more buildings to show of for sure! 1. JohnDog3112 build some of it and i built some of it also. This is what I call my Kingdom (Queendom just didn't sound as good ) The main part of the underwater base was started in August of 2015. It started as a small box with a glass window, but since then it's grown to a massive home below the sea floor that stretches all the way to bedrock. It has many different rooms, each with it's own purpose. 7 different types of grinders ranging from Creepers to Chickens. Several months after starting and expanding it, I decided it was time to breach the surface and start creating real structures, instead of just digging out boxes. 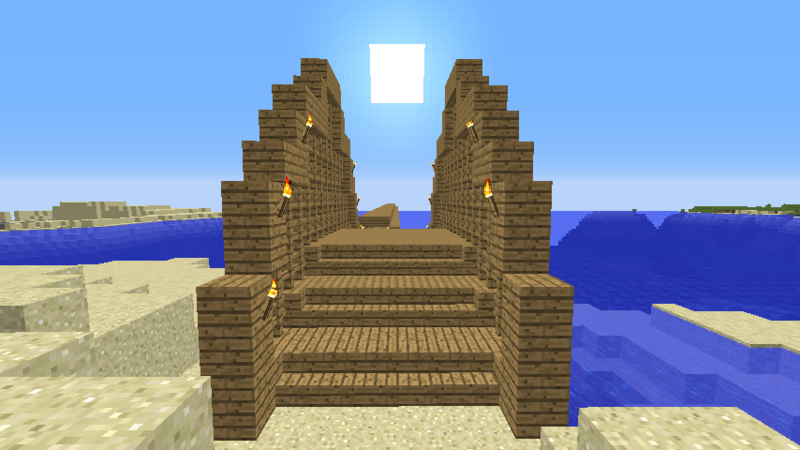 I found a nearby village and over time built a bridge back to the undersea home. The walk was very desolate and lonely, so I decided to add structures to look at along the way. The first was the Creeper Castle on a nearby island, followed by a giant Wither statue across from it. A big house and small fishing hut later, and it's now a nice walk or boat ride with plenty of scenery. The orange barn on the right was constructed only weeks ago after seeing one just like it on the way to my girlfriend's house. The barn was orange, so my first thought was "I could make that out of acacia!" By far my favorite part of my Kingdom was added only just over a week ago. And that is the house with a heart on top of it. Which is more than it seems. That house was built on the server Scorp and I used to play on years ago. The house itself is at least 6 years old, but probably more. It was built around beta 1.6. The schematic file itself is from 2011, and it's been pasted in many worlds over the years, and has had several variations on it. But I'm happy to start over and make a new variation on this server. I hope you enjoyed this small peek into my little chunks of our world, and I hope to see killje's touring agency operating in the future! After being pretty end-game for awhile, having all enchantments and rare items, and all of the original achievements conquered, I asked Scorp if he would allow me to use creative mode to make different places around the server that users can discover. 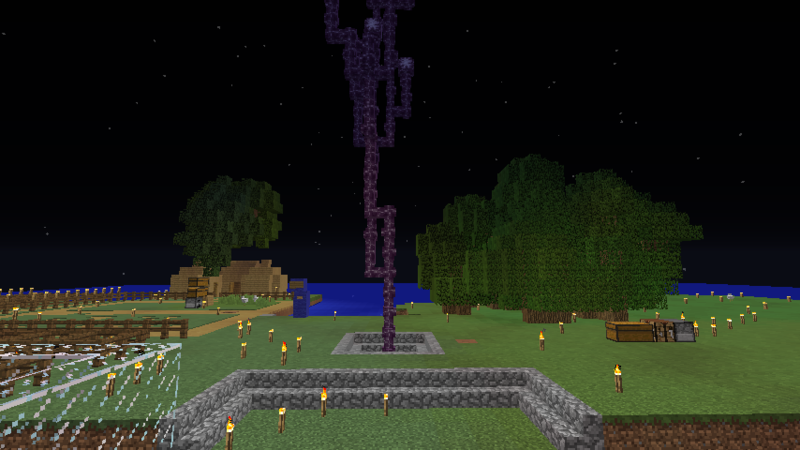 The first ended up becoming new spawn, which was started by Oliver before myself and others helped to finish it. Around the same time, I started working on turning an end island into a "chunk of the overworld" type thing. I started by turning all the end stone to dirt, and then placing grass at the top level. Next came a castle that I wanted to build as an homage to the original days of Minecraft, where almost everything was made out of cobblestone. Next I decided to use World Edit to place pieces of our actual overworld into it, including a few pieces of our old spawn. The island is currently unfinished, but is really close to completion, as killje has joined to help finish up!